Finally warm enough to even consider breathable tops like this one. And I love it. What a cool top. I love the whole black and white ensemble with the pop of green on your shoes. 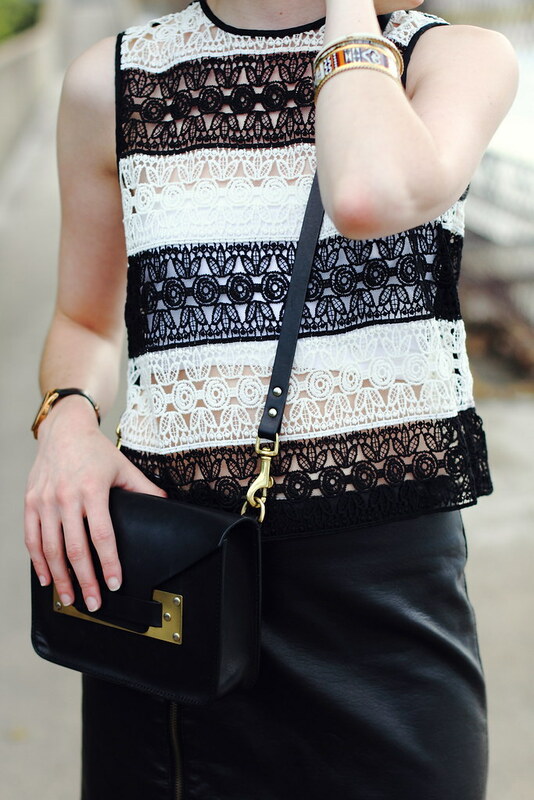 Love the leather and pretty lacy blouse! That top is really different…I like it! I am huge fan of those shoes! Totally embracing this warmer weather. Flipping out over your shoes. Amaaaaazing! Why are you so cool?